JASPE LOGONES S.N. - World Pedigree DataBase French Bulldog, French Bulldog Pedigree DataBase. 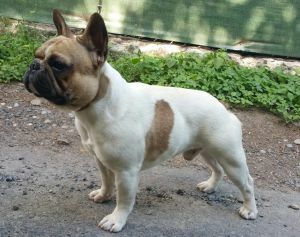 French Bulldog - JASPE LOGONES S.N. Registered Name: JASPE LOGONES S.N. The constant reference for JASPE LOGONES S.N. HTML code without titles - Example: JASPE LOGONES S.N. HTML code with titles - Example: - JASPE LOGONES S.N. BB code for forums without titles - Example: JASPE LOGONES S.N. BB code for forums with titles - Example: - JASPE LOGONES S.N. Pedigree - JASPE LOGONES S.N.